A very talented hard bop pianist, a superb arranger and composer who wrote "Jeannine" and "Cresto Redentor," as well as a significant bandleader and record producer, Duke Pearson was a major force for Blue Note throughout the 1960s. Many of his recordings helped to define soul jazz and hard bop. Pearson's talents were obvious soon after he arrived in New York in 1959. He worked with Donald Byrd, Art Farmer, Benny Golson and Nancy Wilson before being quickly signed to Blue Note in 1963. 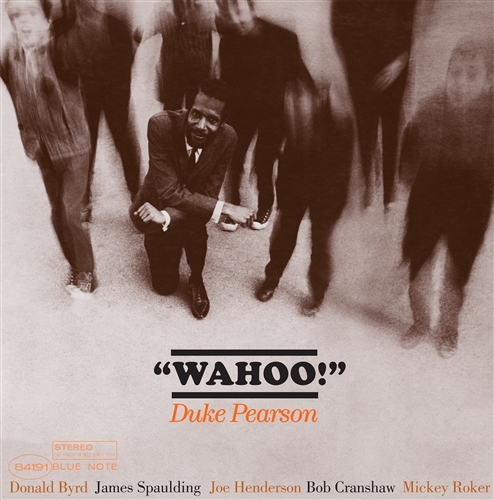 Wahoo, recorded in 1964, was the breakthrough album for Duke Pearson. He leads an all-star sextet that includes Byrd, Joe Henderson and altoist James Spaulding through five of his originals and Byrd's "Fly, Little Bird, Fly." On the trio feature "Farewell Machelle," Pearson shows just how inventive he was as a pianist. Other selections, including "E.S.P., "Amanda" and "Bedouin," inspire dynamic solos by the horn players. While being advanced and forward-looking, Pearson's originals also contain soul, catchy rhythms and melodies that stick in one's mind long after the record has finished. Wahoo, captured in superb sound in this reissue, is one of the great recordings of Duke Pearson's career.